Eating a plant-based, gluten-free diet does not have to break the bank or consume all your time. Fresh n’ Lean’s healthy meal delivery in San Francisco makes it convenient and affordable. We offer plans of one, two, or three meals per day. Three daily meals are included in our Standard Plan and works out to less than $10 per meal. When you consider the high-cost of groceries in the Bay Area, you may find that our healthy food delivery in San Francisco actually saves you money. Plus, shipping is included in our pricing, and you won’t have to squeeze time in your schedule to stand in long lines at the health food store. Our plant-based meals are always crafted with organic ingredients and shipped fresh. Want an easier way to follow your healthy eating program? Fresh n’ Lean has your solution. 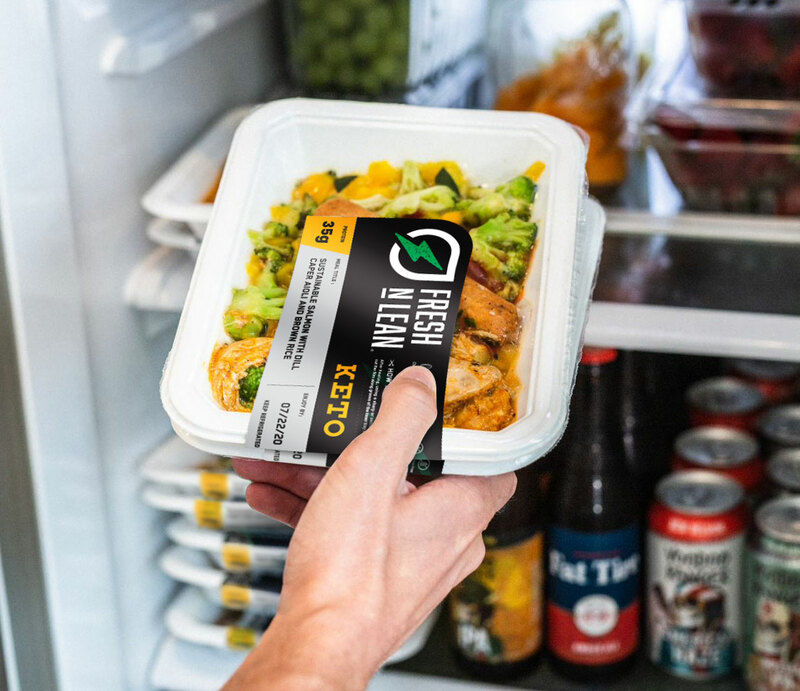 Our healthy meal delivery program in San Francisco is customized to meet your own unique nutrition needs, giving you the energy levels you need every day. Whether your goal is to lose weight, improve your overall health, or build lean muscle mass, once you fuel your body right, succeeding becomes that much easier. If you lead a fast paced lifestyle our healthy food delivery services in San Francisco will take away meal preparation stress. Simply take your prepared meals along on the go and you’ll have a nutrition meal available within seconds. Enjoy delicious, nutritious, healthy and freshly prepared meals delivered to your home anywhere in San Francisco. If you’re dealing with a health problem such as high blood pressure, eating right has never been more essential and with Fresh n’ Lean healthy meal delivery in San Francisco, California you’ll never go wrong. Whenever you put premium quality nutrients in your body, you’ll work to lower your likelihood of disease and keep yourself feeling energized and in optimal health. At Fresh n’ Lean, we pride ourselves on preparing meals that cater to just about any individual. Taking care of your blood sugar is crucial, not just for losing weight but also to help keep your energy levels consistent. With each of our meals, you’ll have energy all day. All of our meals are cooked to perfection, full of flavorful ingredients that provide you with the perfect amount of carbohydrates, healthy proteins, and fats.